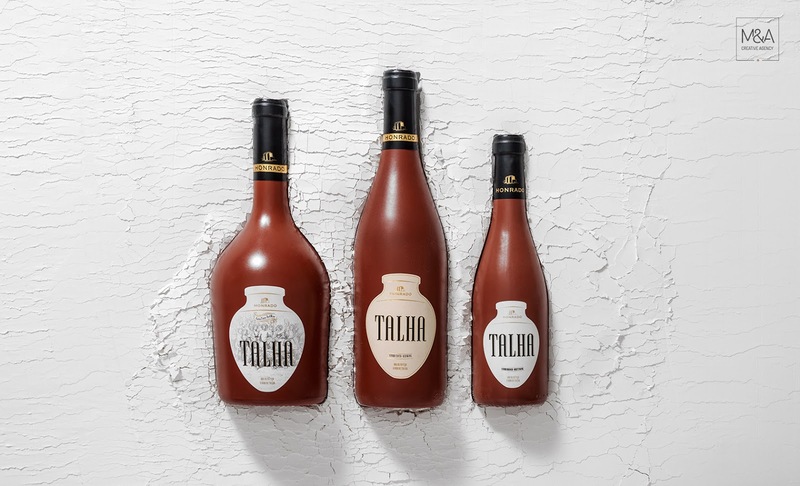 In Portugal, the Alentejo region has long been the guardian of talha wines. 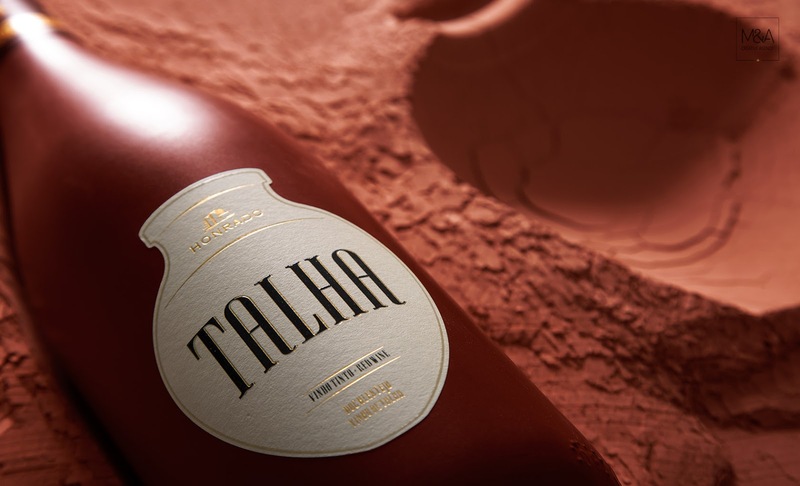 Here, the techniques developed by the Romans for making wine in the clay amphorae called talhas have been safeguarded. 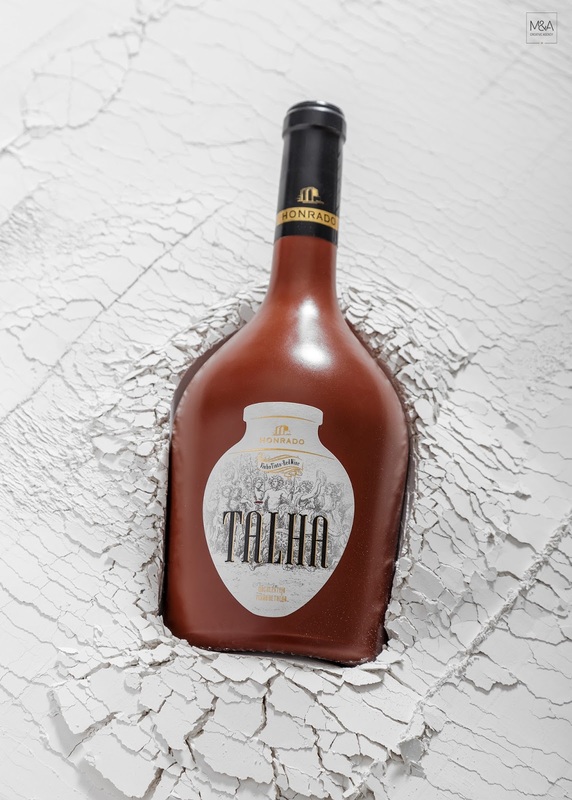 It is in the region of Vila de Frades, a small town in the heart of Alentejo with less than 900 inhabitants which is recognized today as "the Capital of Amphora Wine", and where Honrado family began 15 years ago this production of wine. 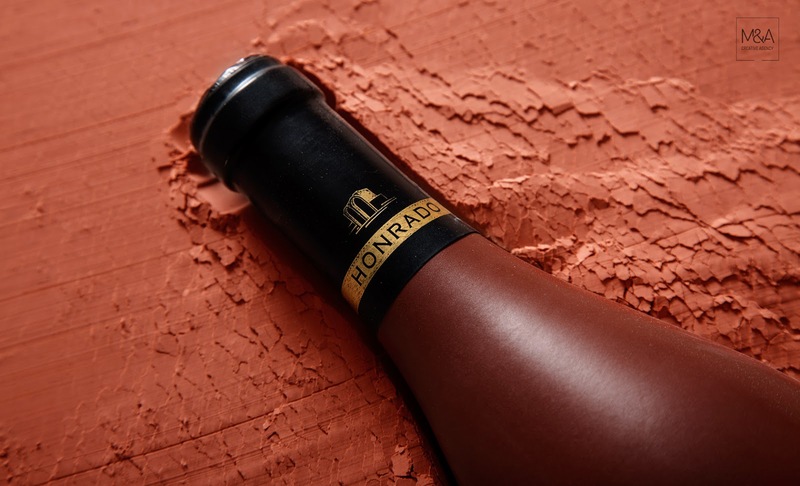 In 2016, with a growing interest in winemaking, Ruben Honrado decides to create a new project of amphora wine. 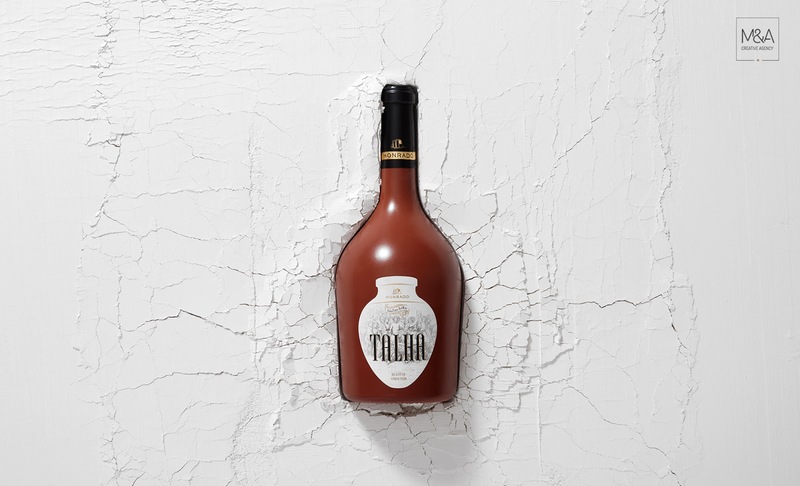 Our team was inspired by this millenarian technique of fermenting grapes in clay hoists to develop the creative concept for packaging design and photographic production. 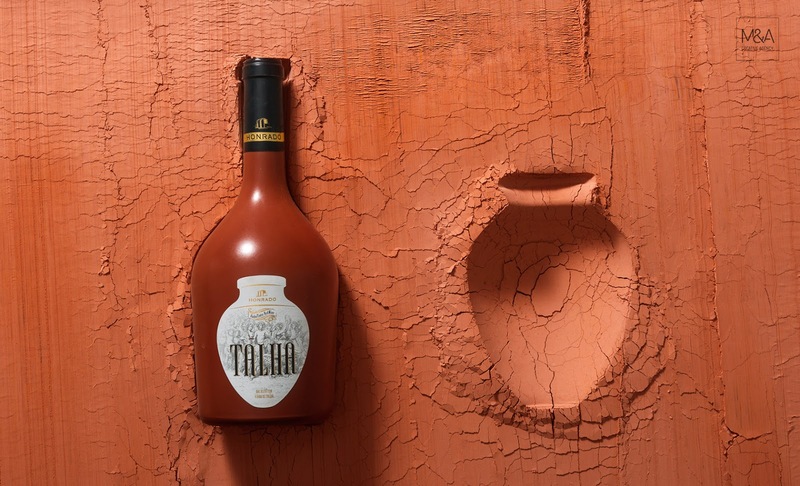 The bottles are painted in clay tones and the label has the shape of one Talha. 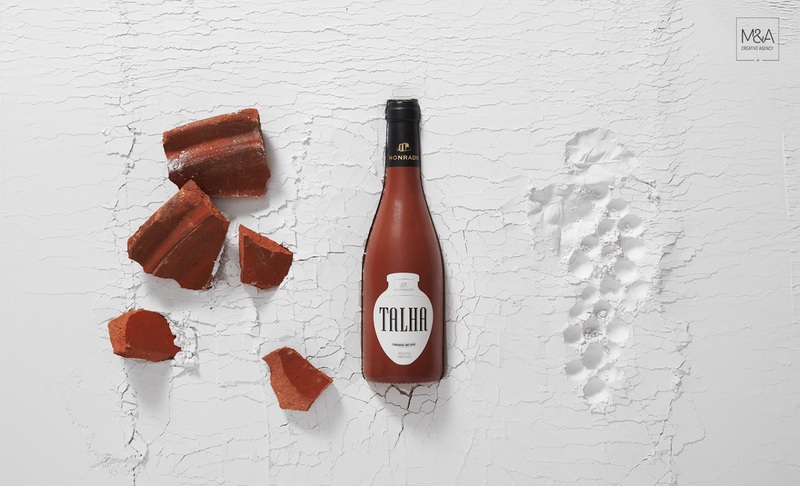 There are two different labels: one is simplest and minimalist and the other, a limited edition with thousand enumerated bottles, has an illustration of a Roman festival, referring, clearly , the origins of the nectar. 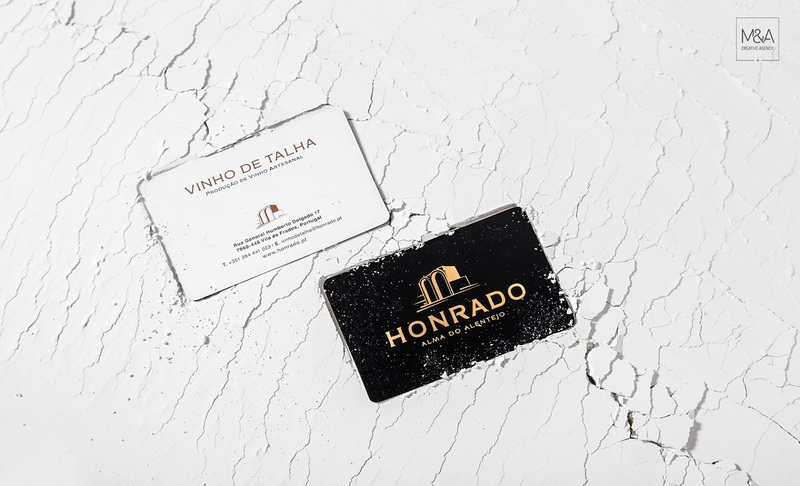 In addition, we also created the branding inspired by the Roman Ruins of São Cucufate where traces of artisanal wine production have been found.